The Global Center organized a two-day ASEAN Regional Forum Workshop on First Response Support for Victims of Mass Casualty Events. 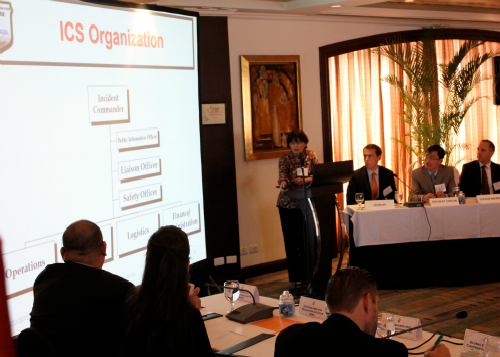 The meeting was co-chaired by the government of the Philippines and the United States. The goal of the workshop was to bring together policymakers, practitioners, and first responders across the ASEAN region from the domains of (natural) disaster preparedness and management and those responsible for managing and coordinating responses to terrorist attacks. The meeting is part of an effort to help advance consideration of victims of terrorism, including in the Southeast Asia region, by taking stock of national and regional efforts, international good practices in disaster preparedness and crisis management, and building from those frameworks, mechanisms, and programs.